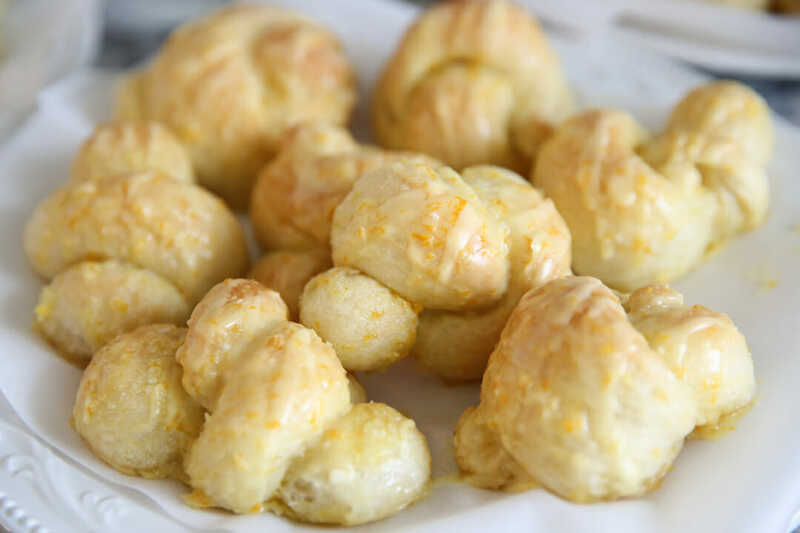 On Easter morning I had planned to make orange rolls from our Savoring the Seasons cook book, but I found myself out of yeast and had to come up with a back-up plan. 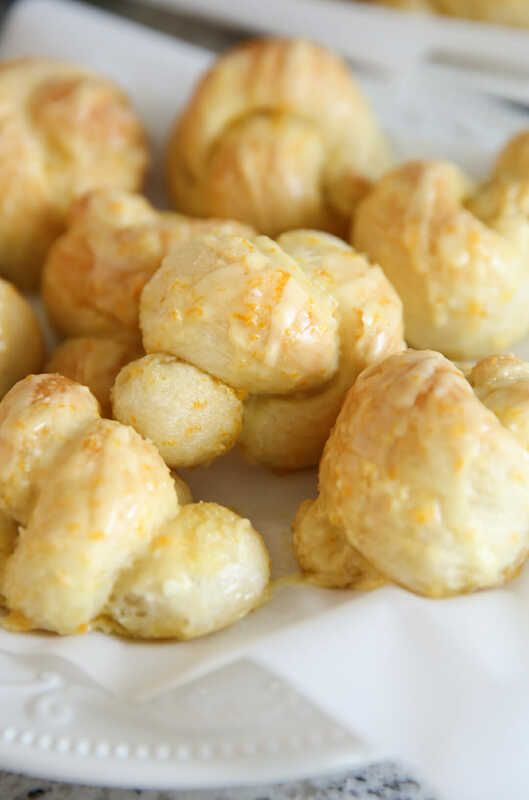 I love orange rolls and for some reason I associate them with things like spring time and Easter and Mother’s Day and baby and wedding showers. Since Kate posted that great White Peach Sangria recipe on Monday I thought I’d add something that would go beautifully with that if you were planning a little get together of that sort! 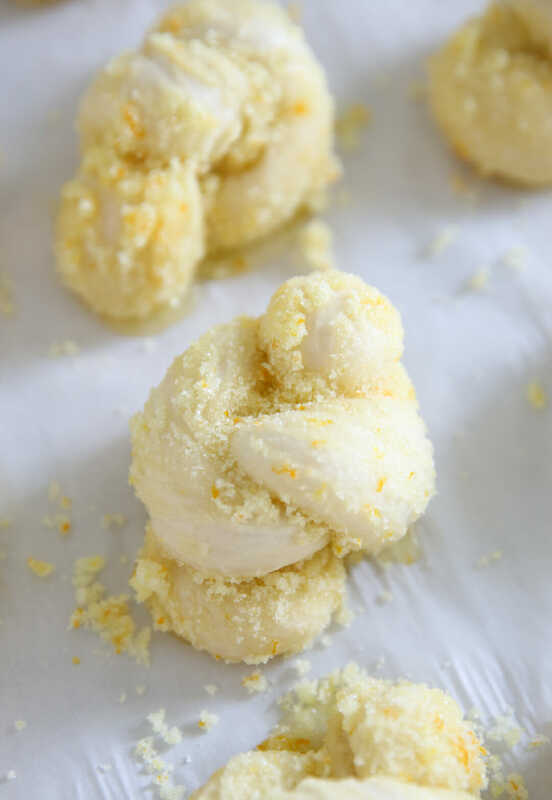 So back to Easter morning, I did have a bag of frozen Rhode’s Rolls so I whipped up an easy short-cut version by simply rolling the dough in the orange roll filling I would have used. The result was a sweet roll that was SO easy to make and tasted amazing. These disappeared so fast, I might have to default to these every time. 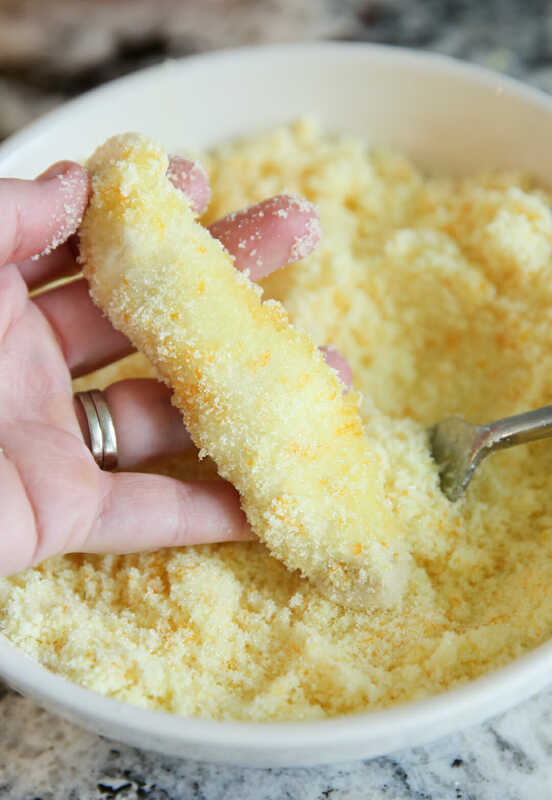 For this recipe you’ll want a standard bag of frozen Rhodes Rolls. You want them thawed, but not risen. You can leave your rolls in the fridge overnight to do the trick, or you can place them individually on a lined baking sheet at room temp. You just need to keep an eye on them that way and make sure they don’t rise. Mine only took about an hour to thaw out. While that’s happening, you can make your orange sugar, which is exactly what it sounds like, orange zest + sugar. 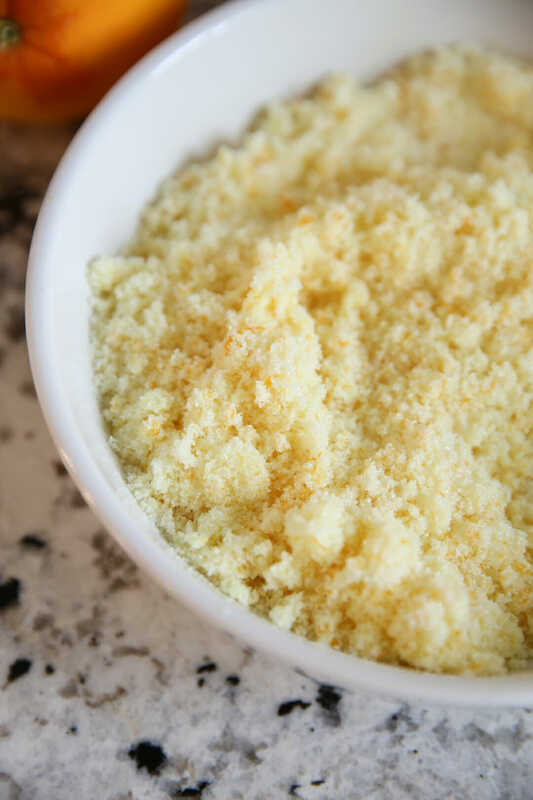 You’ll add a bunch of zest into plain granulated sugar and then mix it up really well (I use a fork and kind of smash/stir) so it looks like this photo below. If it’s orange-ish, that means the oils have mixed in and flavored your sugar and that’s what you want! and then just tie it in a knot. Easy peasy. It’s really a very easy process and goes pretty quick! Then they just need to rise. OR if you’re making these the day before, cover and refrigerate at this point. To bake, I cover lightly in plastic on the counter, or place in “proof” mode in my oven. You’ll have to eyeball them- you want them to be plump! When they are just about done baking, whip up your glaze. If you put the glaze on super hot rolls it will just melt right off, so I wait until they’re just a little warm and then drizzle that on. Then sit back and watch them disappear. Lovely and delicious sweet rolls with a short cut method that makes them quick and easy! Thaw rolls until thawed but not risen. You can pop the bag in the fridge overnight, or place rolls on a baking sheet at room temp. Mine took about an hour to thaw. While thawing, mix sugar and orange zest in a shallow bowl with a fork until sugar becomes a pale orange color. Take each dough ball and gently stretch to about a 6-inch rope. Dip rope in butter and then roll in sugar mixture. Then tie in a simple knot and place on baking sheet. Let dough rise until about double- they should be nice and plump. Bake in a pre-heated 350 degree oven until browned, about 20 minutes or so. 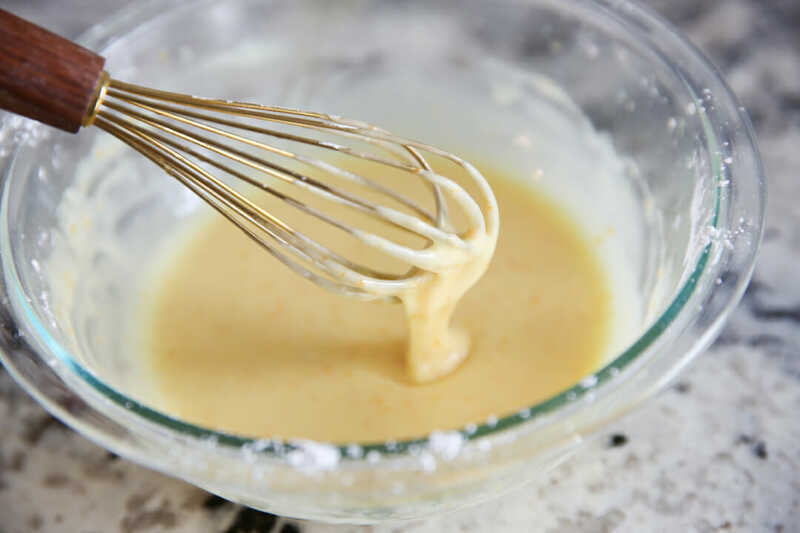 When they are just about done, whisk glaze ingredients until smooth. Let rolls cool until just warm before drizzling on glaze. Rolls will be sitting in a very delicious mixture of gooey sugar (think of the bottom of the cinnamon roll pan, but orange flavor) so you might want to transfer rolls to serving plate before that hardens. 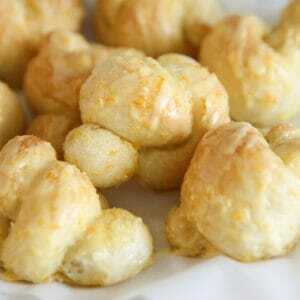 If you want to make these ahead of time, form your knots but don’t let rise. Instead, cover with plastic wrap and store in fridge. Pull out in the morning to rise and bake. For your grocery list, you’ll need a bunch of zest and a little juice- just grab 4 large oranges to be safe! Thanks for sharing this wonderful treat. I love anything made with frozen rolls…this sounds delectable! At the very end you mention on grocery list to get 4 large limes. What’s that for? It sounds so fun and easy to make. Thank you for sharing! I have never tried orange rolls.